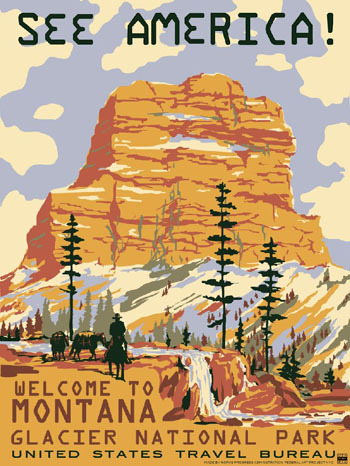 13 1/2” X 19 1/8” serigraph print--historic design & colors*. 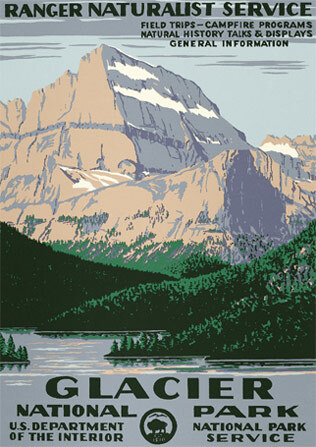 This serigraphed poster reproduction shows Mount Gould above Swiftcurrent Lake on the east side of Glacier National Park. Only one original poster (in a private collection) is known to exist and it shows different text fields and a yellow sky. All colors shown here on our RDE version, except for the sky, were 'guestimated' correctly! 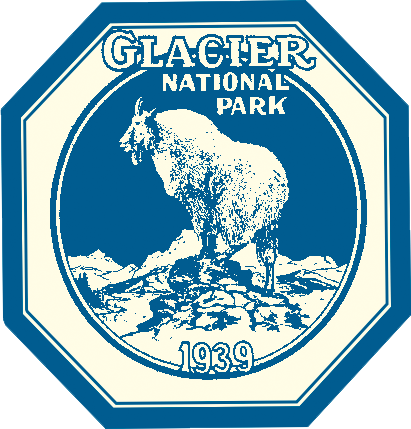 Visit this location here. Ranger Doug is committed to quality products in our National Park Bookstores. Click here to learn more.